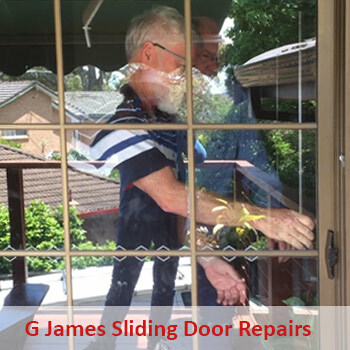 Our specialised team have experience in G James Sliding Door Repairs for over 20 years. The G James sliding doors come in all manner of excellent models from the last couple of decades and they are one of our favourites. 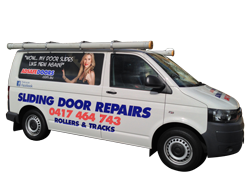 G James has always built quality sliding doors for the Australian market. We also notice they are quite active here in the Sydney market as well. Can you believe G James doors have been making high-quality doors for over 100 years? Not only that but it has remained with the one family all this time. They began operations in 1917 and are a true Australian icon. The thing we like most about G James doors is they have over 40 years experience in manufacturing aluminium framed glass sliding doors. And it shows in their workmanship. So why do G James sliding doors break down? It is true. G James doors breakdown just like a BMW breaks down. It is due to inferior products but just constant wear and tear. The internal components, after 10-20 or more years become fragile and slowly disintegrate. You may have found your G James sliding door has dropped a little bit due to the weight of the door. In addition to the weight, the rollers and springs will have aged and won’t be holding the door up as it did originally. Nothing to do with G James doors, but instead, it is more to do with a slow breakdown of the internal components. Time ages all mechanical and moving parts. All the G James doors have springs and internal springs that are there to help keep that door floating on the track so to speak. What we find with each G James sliding door repair is that we’re able to get in there and identify exactly what the issue is. Click play on the video below to see the before and after of fixing a G James sliding door which was no longer sliding easily. We know G James sliding doors backwards and as such have our process of fixing your tracks so they slide like new again. In addition, we replace all the internal components like the rollers so your door will slide effortlessly. We have these in our well-stocked van so the task is completed without any issues. We work fast and professionally. We will fix the track and rollers and replace them with the highest quality parts. You can be assured that when we have fixed your G James sliding door, that it will slide like new again, and you’ll be able to open and shut it with one finger. Not only that, but an often overlooked component of fixing G James sliding doors is to make sure the locks line up correctly. This is critical because it’s your home and safety. At your home, security and safety are absolutely critical.